You may have been asked to come to a “Pre-operative Assessment” appointment. We also do telephone assessments where a nurse will ring your parent or carer. 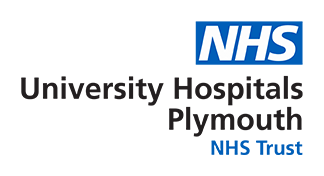 Pre-operative assessment is a really important way for us to find out all about you and for you to find out about what happens at Plymouth Children’s Theatres. At a pre-op assessment appointment one of our nurses will make sure we know all about your general health so that we can make sure your anaesthetic, operation or test is exactly right for you. Please bring any medicines you usually take with you to pre-op assessment. The nurse will also check how heavy you are and will sort out any other tests you might need before your operation (like having your hearing checked if you are having an operation on your ears.) Sometimes (but not normally) you might see your surgeon and anaesthetist at pre-op assessment. You and your parent or carer can ask the nurse any questions you might have about what will happen when you come in for your operation or test. They will also make sure you know when you can have food and drink until before your anaesthetic and what to bring on the day of your operation. They will ask your parent or carer to make sure they have pain relief medicine like paracetamol (Calpol) and Ibuprofen (Nurofen) at home. Whether you have had your pre-op assessment appointment by ‘phone or in hospital you will have the chance to meet one of our Play Specialists. They are very good at explaining about what will happen in hospital and will answer any questions you might have. * Spam Guard: Does a dog tweet or bark? What happens before your operation? What happens after your operation?